Want to make your own Apps? 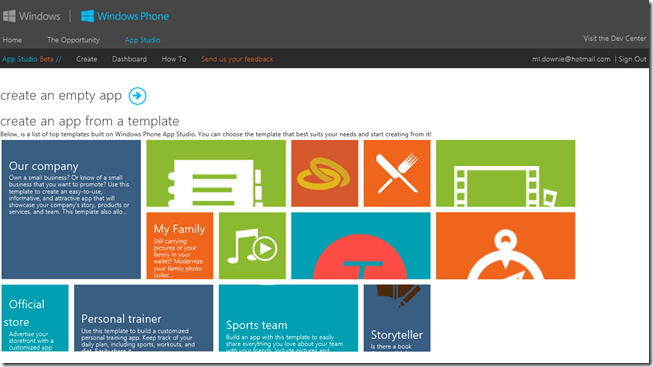 Windows phone app development has always been fairly intuitive for your average .NET developer, however, the release of the App Studio (beta) has taken the notion of “ease of development” to another level. From within a compliant browser a developer is able to build apps for immediate publishing, testing, and sharing. The first step allows you to determine the app name and description. 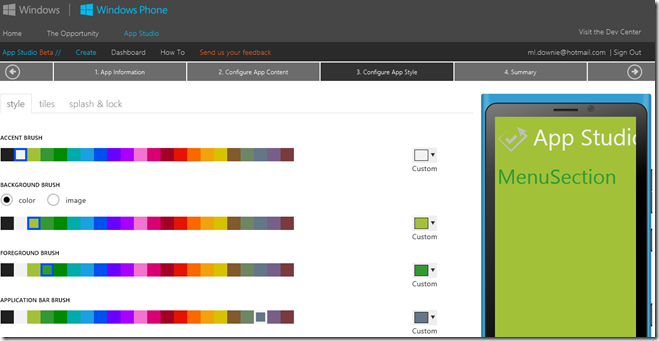 You have the opportunity to upload a 160x160px logo that represents your application. The next step allows you to start configuring data sources, sections, menus, pages and layouts. You can determine the type of data source (RSS, YouTube, HTML). 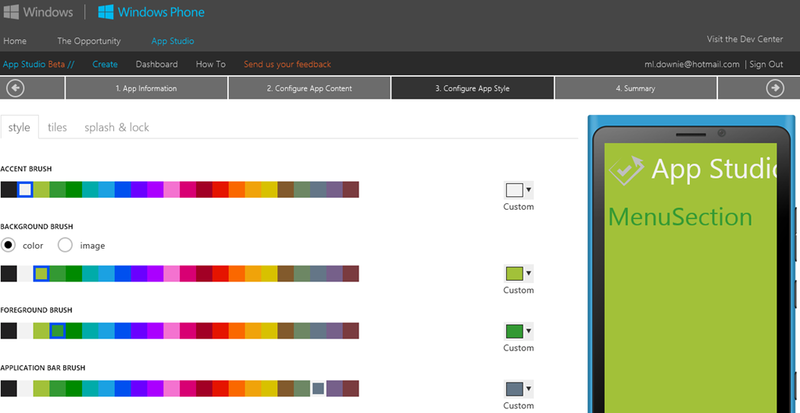 You can configure your apps colors, background images, tiles, splash and lock screen in the next step. There does not appear to be an opportunity to update the App bar but I assume if you are that deep in weeds it is time to open Visual Studio. Once you are done creating the app you can publish and allow others to view your work! If you have ever wanted to create an app now is the time to give it a swing without even installing anything locally.